Owner/Agent. Two sub divided parcels on Caps Trail in Lutsen. Vacant Lot 16 is 2.8 acres, Lot 17 is 3.3 acres. Towering White Pines on upper lot w/numerous beautiful building sites on both parcels. Tait Lake views w/deeded access to private boat landing. Lot 16 $45,250, Lot 17 $55,250. Both for 90,500 ($10,000) discount. Lot 17 cannot be sold independent of Lot 16 – 16 can however be sold independent of 17 acres. It is nicely situated as a corner lot allowing for convenient access from Caps trail as the main entry road and Caps Trail lakeside. This property provides deeded access to the private boat launch and landing at Tait Lake which is nearby this parcel. Multiple building sites with ingress and egress. Power and broadband at curbside. Trailer boat in and out from this property with ease. 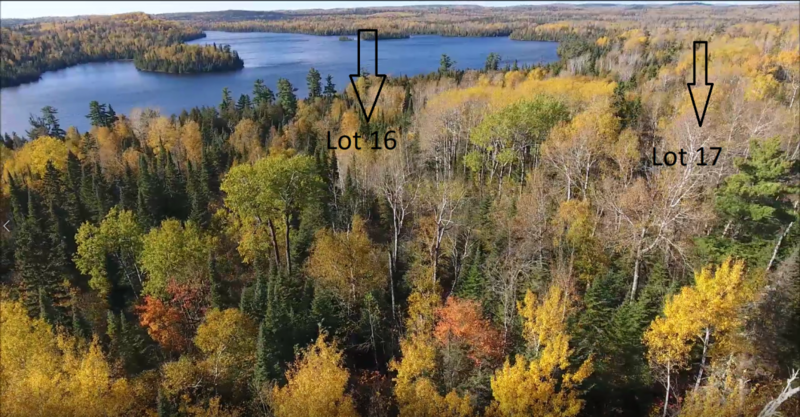 Very nice building location and just 13 miles from Lutsen off the Caribou Trail. Enjoy Tait Lake without the cost of shoreline or shoreline taxes. HOA in place for your protection of property values and other considerations.